Out with the old, in with the new. Today Sprint has retired its no-contract As You Go service and replaced it with the more straightforwardly branded Sprint Prepaid. The new offering is something Sprint customers or no-contract shoppers should almost want to consider, but the monthly prices still aren't low enough for the limited number of phones supported. Sprint Prepaid introduces two smartphone plans: Smart and Smart Plus. The former offers unlimited talk and text for $45 a month. What about data? It's blocked. That's right - zilch, zero, none. Customers willing to forgo data entirely might be better off considering Republic Wireless, which is willing to sell a data-less plan on Sprint's network for a low $10 monthly fee. It only carries the Moto X (and soon, the Moto G), but that selection is arguably better than the predominantly outdated or underpowered phones Sprint Prepaid requires: the Galaxy S III, Galaxy S4 Mini, Moto G, or, for Apple fans, a pre-owned iPhone 4S. Alternatively, you can throw in unlimited data as part of the $60 Smart Plus plan. 4G is supported, as long as you have a device with the proper hardware. The Moto G is 3G-only, while the S4 Mini, on the other hand, manages to take advantage of Sprint Spark. This price still isn't particularly compelling compared to Sprint's pre-existing no-contract brands Virgin Mobile and Boost Mobile, but it does come without a credit check. That's something, at least. 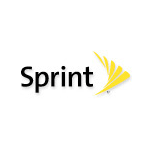 OVERLAND PARK, Kan.--(BUSINESS WIRE)--Sprint (NYSE: S) is launching Sprint® Prepaid today, a new branded offer for those customers who want the control that comes with prepaying for their wireless service each month, the savings that come with paying for the device up front with no long-term commitment contracts, and the benefit of being with the Sprint brand.